Will Intellectual Dark Web and Centrism turn into Identity Politics? Now, let us turn our attention to three political movements or factions that are somewhat relevant to many of us, that is, anti-SJW politics, centrist politics, and the Intellectual Dark Web. You may think that these are free-thinking movements, and anti-freedom establishments cannot develop out of them. However, where there are groups of people, potential for formal organization, and a shared identity, there is a risk that an establishment may develop. While such an establishment may not be as totalitarian as the religious authoritarians or the Western Communists, it may still act to limit freedom in many ways. The only way to prevent such a degeneration in movements for liberty would be by being actually true to liberty at all times. I often call myself a centrist. Not all classical liberals are centrist; some are more conservative while others are more progressive. Classical liberalism is a set of ideals and principles hopefully everyone can adhere to, but political temperament, I firmly believe, is inborn, and balanced in the whole of the population so that we don’t get too radical or too conservative as a society. So centrist is a way to describe the political temperament of people like myself, and I believe centrists are natural free-thinkers, as I will explain. Centrist thinking, which is a mix of progressive and conservative, offering the possibility of progress but also a sincere conservatism, is the best of both worlds. I think we should be proud to be conservative at the right times, even if we are not necessarily conservative all the time. I think people who are never conservative are dangerous, historical examples include Stalin, Hitler and Robespierre. On the other hand, some progressiveness is needed, for the sake of being adaptive to changing circumstances and new knowledge. Centrists draw on both progressive and conservative thinking, and are therefore free-thinkers. This is why centrists are also naturally inclined towards classical liberalism. However, we should be careful not to make centrism into a new establishment, a political faction, because that would mean turning it into a defined set of beliefs that people have to follow, taking away the possibility of free-thinking, the biggest strength of centrism. Which brings me onto the anti-SJW movement. It started out as a critique of the excesses of SJW culture, which was threatening basic classical liberal values like free speech. During the early phases, it was a free-thinking movement, with progressives, centrists and conservatives all offering their viewpoints as to how to remedy the SJW excesses. But over time, there came to be a certain conformity to the movement, with certain types of opinions becoming more acceptable, and indeed expected of people. For example, you couldn’t just criticize SJW behaviour, you had to hate social justice itself, which of course drove many progressives away. Later on, the centrists and conservatives who remained felt increasingly under pressure to say the same things as each other, and many also lost interest. Which is how the movement died. It became tribal and lost its free-thinking spirit. 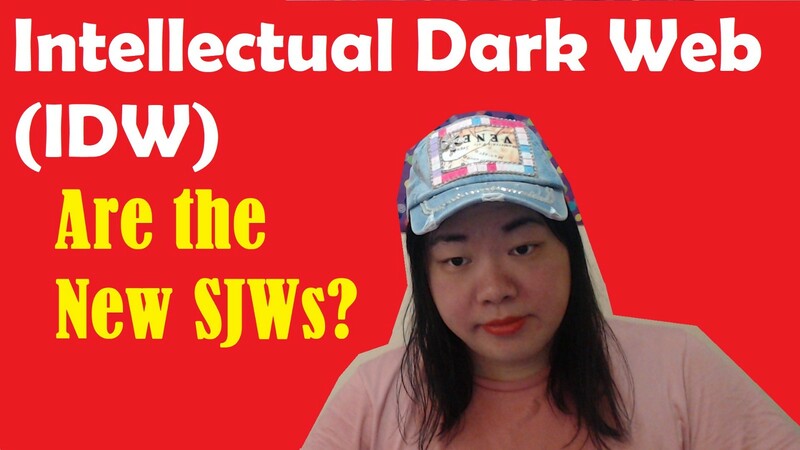 When the anti-SJW movement died, the Intellectual Dark Web was born. It brought renewed hope that there will be free-thinking. Real free speech and a truly free market of ideas. And mostly, it still appears to live up to this promise. But just late last year, we saw the first signs of partisan and tribal thinking, even in the IDW. When Jordan Peterson, who many see as the central figure in the IDW, made certain comments during the Judge Kavanaugh confirmation hearings, there was severe backlash, much of it coming from his supposedly IDW-aligned fans. Whatever you thought of those comments, that behaviour was certainly not in line with respecting free speech and a free market of ideas, and I was disappointed. What I am worried about is that, the IDW, like the anti-SJW movement before it, is turning into an identity movement, and feature the conformism an identity-based movement would naturally demand. But even worse, I’m worried that the IDW could effectively turn into an establishment itself, a group of organized intellectuals who are expected to think alike in some ways. Like all political establishments, it will come to effectively limit individual free thinking in some way. I hope we don’t go down that path. That’s all for classical liberalism this time. I’ll be back next time to advance classical liberal values, one step at a time. Subscribe if you want to follow our story. And remember to resist collectivism and stay individualistic. The world depends on it. Originally published at taraellastylia.blogspot.com on February 20, 2019. TaraElla is a singer-songwriter, independent journalist and author, who is passionate about free speech, liberty and equality. She is the author of the Moral Libertarian Horizon books, which focus on developing a moral case for freedom-based politics in the 21st century.